Cruise reviews are a great tool for both choosing a cruise, and for learning how to get the most out of the cruise vacation you’ve already booked. We’ve gathered reviews of cruise lines and ships from a variety of online sources. As none of these sources actually sell cruises, you can expect informed and objective content. 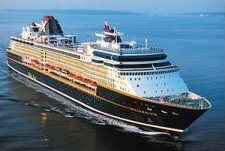 Some of the key reviewers include Frommer’s, Fodors, Cruise Diva, and CruiseMates.